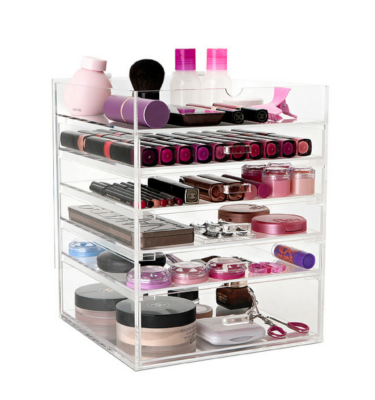 The Original Makeup Box has just got better with this Cosmetic Organizer! With all the features of the Original Makeup Box plus great looking diamond handles, the Glamour Makeup Box is sure to impress. 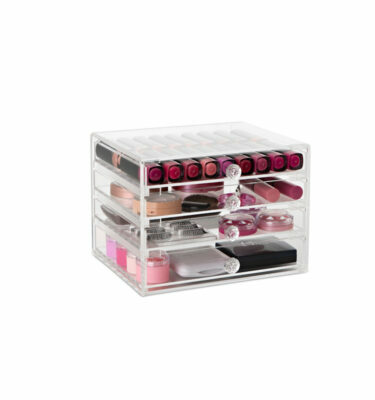 This Cosmetic Organizer is perfect for organising all of your makeup so that you can find it easily and quickly. 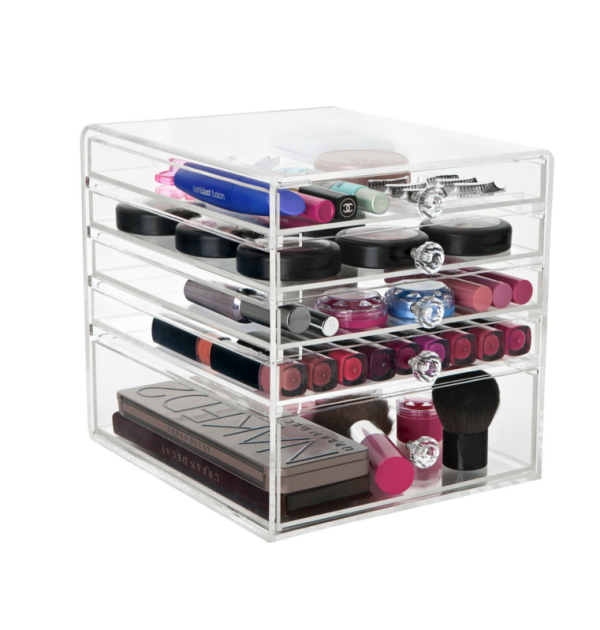 The sleek modern design of our Glamour Boxes has five useful drawers is made from clear thick high quality acrylic. The Glamour Box is the perfect gift for the girl who likes the fancy things in life. Divider fits inside bottom drawer only. Deluxe Tray fits on top for additional storage. I purchased this makeup box in 2011. To date, it is one of the BEST beauty purchases I have ever made. 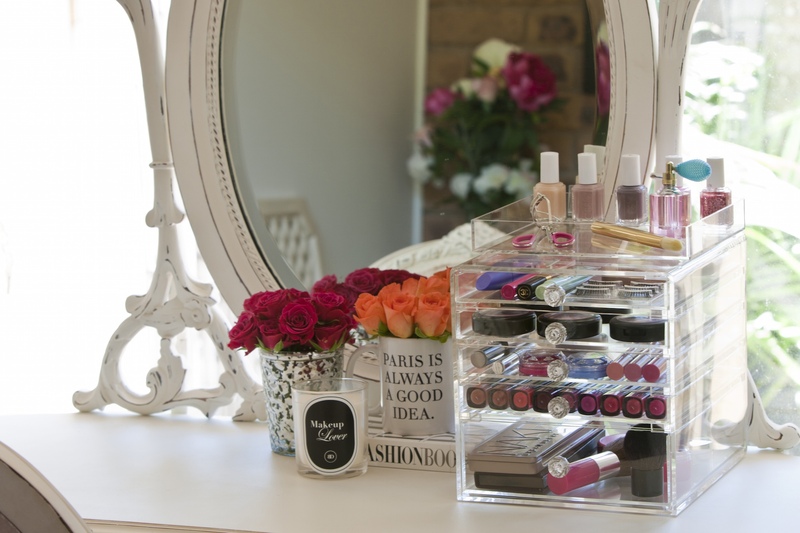 My makeup is stored in a stylish and organised way and the drawers themselves look fantastic in my bedroom.. Can’t really ask for more. Will definitely be purchasing another Makeup Box when my drawers finally wear out. I have had my glamour box for over 12 months and has been a god send. 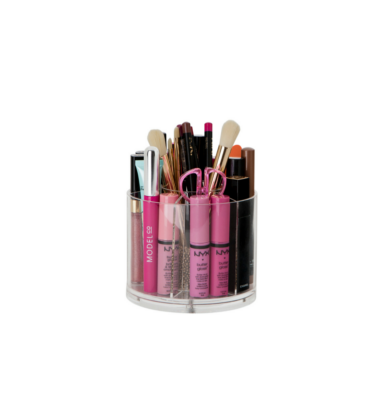 All my makeup at my fingertips, it looks great on my dresser, all my makeup products are organised and easy to see, excellent product. 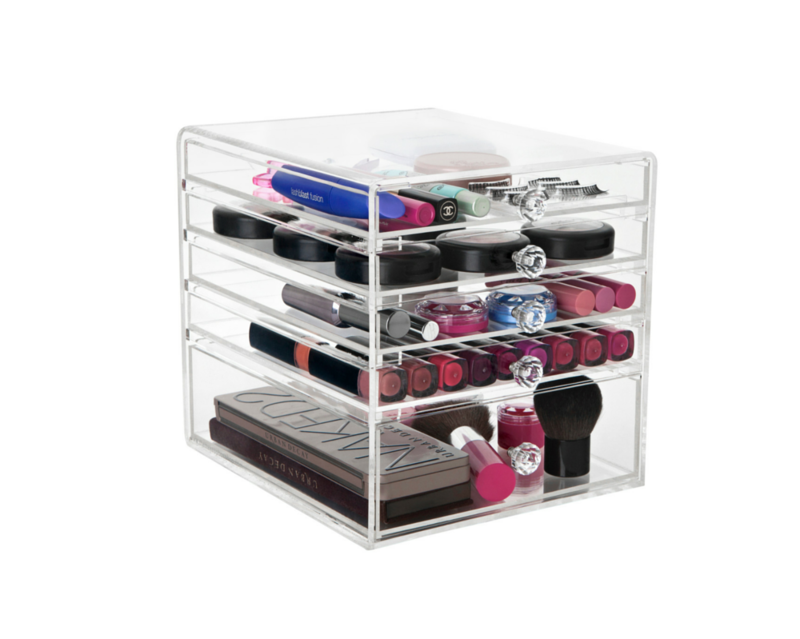 Awesome make up organiser! get comments from friends all the time! excellent Product! would definitely get another one!